Mallory Meer is like any other teenage girl. She likes to have fun. She thinks her sister is ridiculous. Her parents drive her crazy. She’s got a terrible crush on a boy named Dustin and follows him everywhere. Mallory even has a summer job—figuring out the truth about the fire on the General Slocum steamship, the disaster that killed her sister. Mallory is determined to find out what really happened, and to bring the guilty to justice. Sometimes Mallory gets angry, very angry, and strange things happen when Mallory gets angry. Yes, Mallory is like any other teenage girl . . . except Mallory is dead. On June 15, 1904, over one thousand German immigrants on a Lutheran Church outing died when the General Slocum steamship caught fire and sank in the East River. It was the greatest disaster and loss of life in New York City history . . . until 9/11. But was it a tragic accident or willful murder? When her Jewish boyfriend Dustin is accused of the crime, Mallory, risks everything to solve the mystery behind the tragedy. Was Dustin guilty? Or, was someone else responsible for the fire? As New York City launches an official coroner’s inquest, a secondary one takes place in the community of Kleindeutschland (Little Germany)—with Dustin on trial. Now insubstantial, Mallory uses all the powers of this world and the next to save her beloved, and to punish those responsible. Set against a backdrop of corruption and pervasive anti-Semitism, Mallory finds herself doing things she couldn’t have imagined doing before the Slocum tragedy, and her search for justice leads her to a fundamental truth about herself: Sometimes you don’t really start to live your life . . . until you lose it. 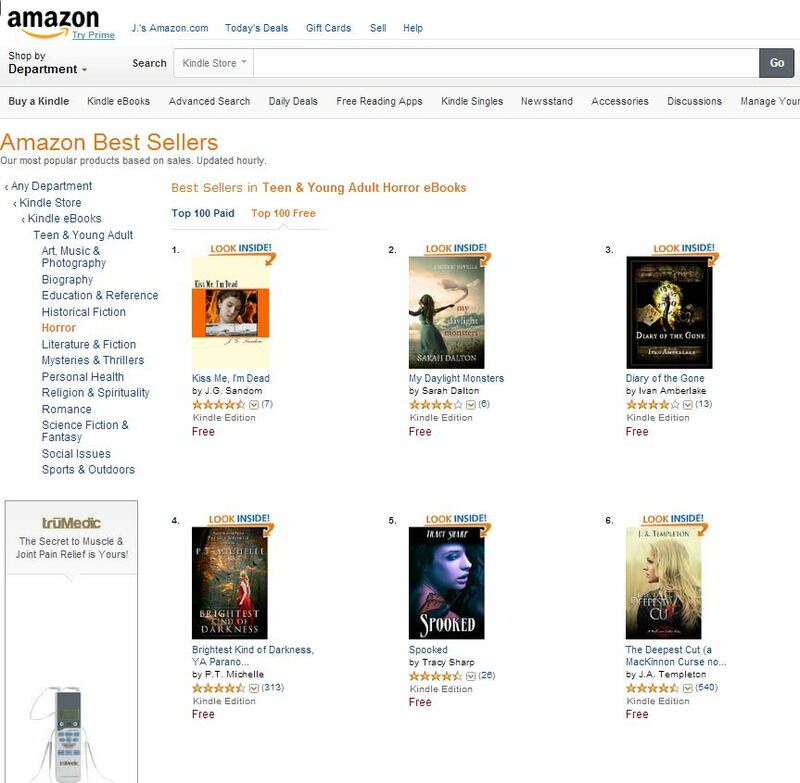 Kiss Me, I’m Dead made it to #1 on the Amazon Teen Horror bestseller list. To purchase your copy of Kiss Me, I’m Dead @ Amazon, click here. This entry was posted in Books and tagged Dutton, General Slocum, J.G. Sandom, Kiss Me I'm Dead, Kleindeutschland, Little Germany, New York, Penguin, T.K. Welsh, The Unresolved. Bookmark the permalink.